After a DUI arrest, the Department of Highway Safety and Motor Vehicles will suspend your privilege to drive and this occurs automatically within ten (10) days. In order to maintain your ability to drive, you must request a hearing within ten (10) days of the date on your DUI citation or submit a written waiver (if it is your first offense). Requesting a hearing will result in an administrative proceeding before a hearing officer employed by the Department of Highway Safety and Motor Vehicles, the hearing officer is not an attorney or judge, but they have the ability to suspend your privilege to drive. If you took a breath test and blew above .08 your Florida driver’s license will be suspended for six months if you do not request a hearing. If you refused to take a breath test, your driver’s license will be suspended for a period of one year if you do not request a hearing. What is an Administrative Formal Review Hearing? The administrative formal review hearing is not a criminal proceeding and there is no judge or prosecutor present. When someone is charged with DUI two cases are initiated, a criminal prosecution and an administrative case before the Department of Highway Safety and Motor Vehicles. 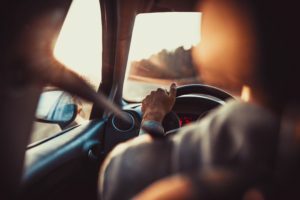 The purpose of the administrative review hearing is to determine if your driver’s license will remain suspended (which occurred at the time of your arrest) or if there is a defense to the suspension, which a qualified attorney can attempt to argue on your behalf and save your unrestricted driving privileges. There is also a secondary benefit to participating in a formal review hearing and that is the ability for your lawyer to question the arresting officer and any other witnesses. Ordinarily, in most criminal traffic offenses, the defense is not entitled to depose the State’s witnesses. However, at a formal review hearing, that’s essentially what takes place. As a result, your defense lawyer will learn the strengths and weaknesses of the prosecutions case early and possibly expose weaknesses to a degree that when presented to the Assistant State Attorney they agree to reduce the charges or drop the case completely.